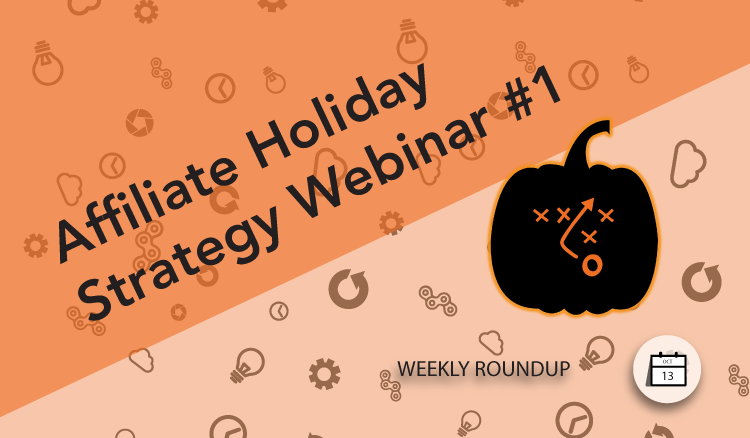 With Q4 in full swing and the rush of holiday promotional periods lining up, it is time once again for the annual AvantLink Affiliate Holiday Strategy Webinar series. These annual webinars examine best practices and actionable recommendations for affiliates to optimize their promotions and revenue during the final quarter of the year. These webinars are always immensely popular, so reserve your spot now. Can’t make the live event? Not a problem! Each webinar will be recorded and made available through the AvantLink YouTube channel and of course right here on the blog. This week the AvantLink team took their shot at breaking out of a silver mine from the 1800s with an entrance blocked by a disastrous cave in. Or at least that’s how the story was told at the new Park City Escape Room challenge building. 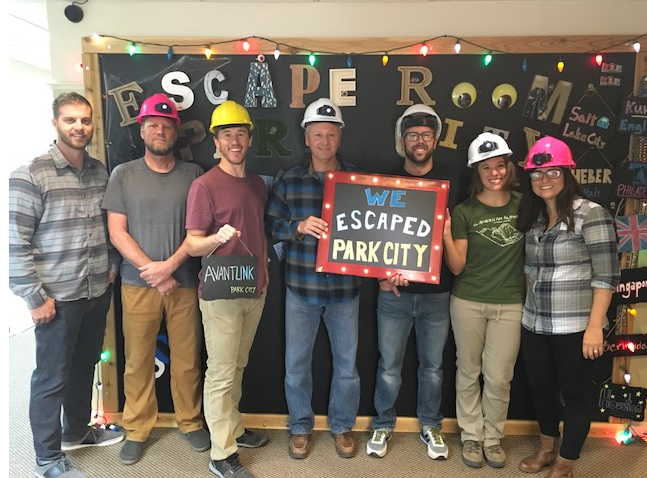 Escape rooms test puzzle solving prowess by giving participants one objective- escape an confined area by finding and using clues to unlock doors before time runs out. 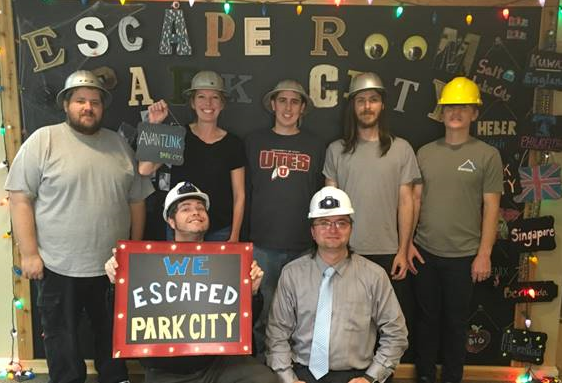 Each escape room has its own backstory, with Park City’s fittingly involving that of a historic silver mine local to the area. 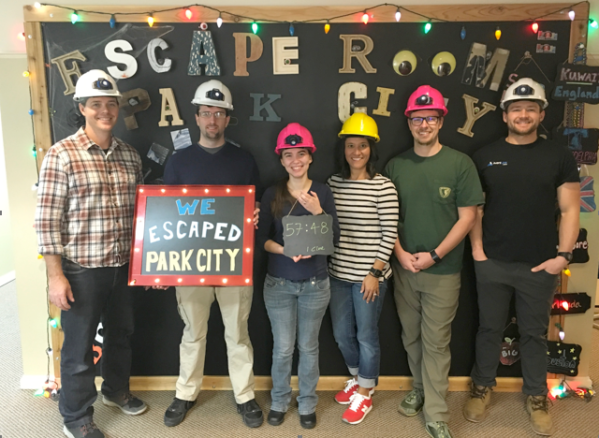 Team two finished in 57:48 and consisted of Andy Benton, Anthony Martin, Ali Ursulich, Stephanie Bolender, Ross Baker and Acy Watson. Team three made it out in 60 minutes and 45 seconds. The team included Johnny Umberger, Lacy Welch, Jon Stoddart, Tony Aman, Phillip Adamson, Owen Owens and Jay Krichoff. Despite being the first ones in, team one finished last at 60 minutes and 50 seconds. The team was made up of Matt Robinson, Dan O’Connor, Chad Waite, Scott Chaplin, Jeremy Britto, Stephanie Dankelson and Vanessa Isaacson. We are the eyewear retailer that combines the convenience of online shopping with the personalized expertise you’d expect at your local eyewear store. Join the EzContacts affiliate program. At Ozweightloss our mission is to help society achieve their ideal weight through the right combination of natural vitamins and supplements, healthy eating and exercise. We manufacture high quality vitamins here in Australia and have build a reputation on delivering products of the highest quality backed up with friendly, helpful customer service. Join the Ozweightloss affiliate program. ShootSteel.com was started in 2009 with the original intent of manufacturing high quality target stands for clubs and competitors. In 2010, we introduced our first AR500 steel targets to the market. Using only the highest quality American AR500 steel and cutting the targets with a CNC laser to reduce the performance inhibiting heat affected zone, ShootSteel.com has been able to produce the highest quality steel targets in the industry at an incredible value to the consumer. Join the ShootSteel.com affiliate program. Sherpa Adventure Gear makes high quality apparel for trekking, mountaineering and exploring the world. Partner with us and send traffic from your website, email list or social media following to Sherpa Adventure Gear and earn a 10% commissions on all sales that you generate. Our affiliate platform tracks clicks, sales and commissions. Plus, with every sale you make, 25 cents is donated to Sherpa Adventure Gear fund, which provides opportunity and education to the people of Nepal. Join the Sherpa Adventure Gear affiliate program. Join the Majorlens.com affiliate program. Join the Armpocket affiliate program. Join the Mantry affiliate program.